According to recent rumors out of China, LeEco is going to announce a new high-end smartphone in early September. 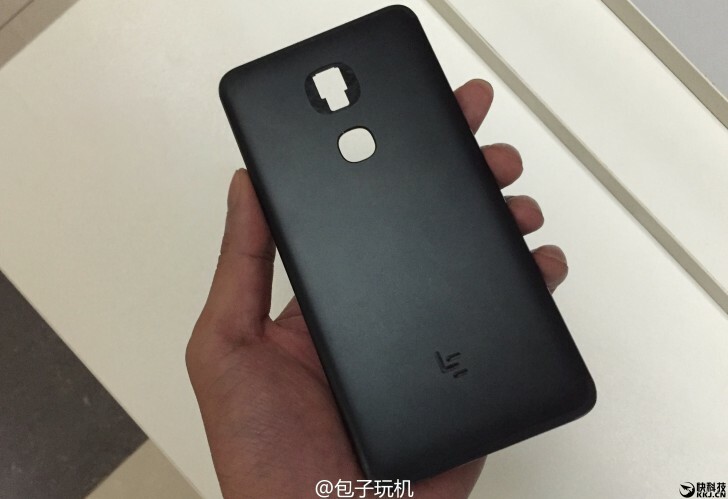 This will be called Le 2s and we’ve already seen a couple of pictures allegedly showing a part of its front. So now it’s time to check out the phone’s back, of course. The images below have been outed today and they are said to depict the handset’s back panel (and a black color version that isn’t a common occurrence in LeEco’s portfolio). The device will come with a full metal build, and you can easily spot the cutouts for the camera, the LED flash underneath it, as well as a fingerprint scanner below that. The second image reveals an interesting design detail – an antenna band design that’s very, very reminiscent of the one that Apple’s long been rumored to employ for its upcoming iPhone 7 and iPhone 7 Plus. So it looks like that outline already has some fans in China. The LeEco Le 2s should be launched in a few different hardware versions. The top of the line model will allegedly come with the Qualcomm Snapdragon 821 chipset and a whopping 8GB of RAM. Lower-cost variants will have a 5.5-inch 1080p touchscreen, the Snapdragon 820, 4GB of RAM, 32GB of storage, a 16 MP rear camera, and an 8 MP selfie shooter. The cameras may be the same in the most expensive iteration, but we assume we’ll see more built-in storage and perhaps even a higher-res display. The Le 2s will run Android 6.0.1 Marshmallow underneath LeEco’s own EUI. It’s expected to have a big battery, which is speculated to be around 5,000 mAh.